Hello, I’m Rachael! I’m a third year in Sixth college, and am double majoring in real estate development and cognitive science. I am really into carpentry and woodworking, and I also love to read. I especially enjoy working with others to improve their writing, so don’t be afraid to stop by! 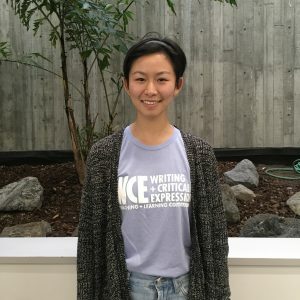 Writing can be really difficult; I know because I was placed in ELWR (Entry Level Writing Requirement) and had to learn the very basics of academic writing. 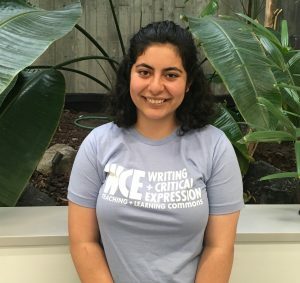 My name is Tirzah and I’m a third-year Literature/Writing major from Muir college. 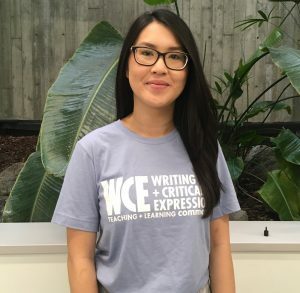 The Writing Hub was my source of support when I was enrolled in ELWR, and even when I took Muir 40 and 50. So I’m very happy to be a part of the place that helped me grow as a writer and critical thinker, and I hope to do the same! Hello! 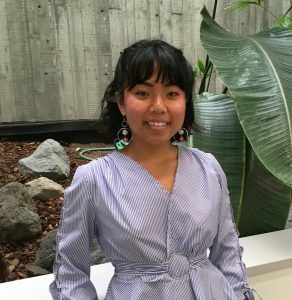 I’m Serena B., a fourth year Revelle student majoring in Literature/Writing and minoring in Law and Society. I have tutored for the LTWR 8 A/B/C series and can help with writing that’s creative, personal, or analytical. Editing your writing with a stranger can be nerve-wracking, but I hope to help you to curate the best final product possible! Hey! 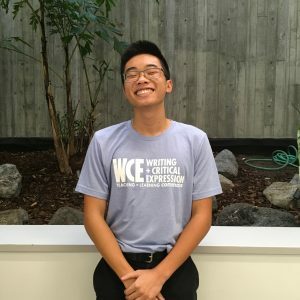 My name is Sam and I’m a Literature/Writing major with a Linguistics minor from Muir college (yes, I finished the Muir writing series). I love literature in every genre and will talk endlessly about books, especially literary analysis. I’m also a copy editor for a satire newspaper and will gladly explain grammar rules that I know you’ll want to hear. Hi! 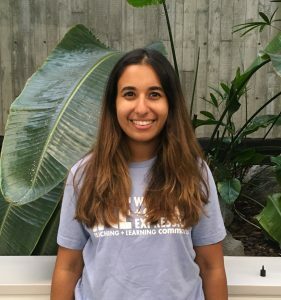 I’m Mithu, and I’m a fourth year Econ major with a minor in Law and Society from Sixth College. I love discussing literature and writing and am especially excited to keep working with other students. In my spare time, I like running, going to concerts, and eating a lot. 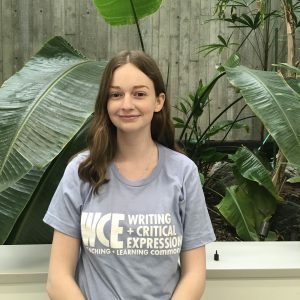 Hi all, I’m an ERC senior double majoring in Writing and English–so you can definitely trust me for all your writing needs! I enjoy coffee and cafes, museums, short fiction, Shakespeare, role-playing video games (shouts out to my Zelda and Metal Gear fan friends), and I also run a flash fiction Twitter account. Writing is a very difficult and meticulous subject to excel in, and I’m here to help you through that process no matter how long it takes. Please feel free to meet with me. I’d love to help you grow as a writer! Hey! I am a fourth year political science major and business minor from Marshall College. While I am trained to work with writing from all disciplines and subject areas, my specializations apart from my major include the DOC sequence, and legal research and writing. I am incredibly passionate about writing and look forward to working with you! Hi! I’m a fourth-year Management Science major from Sixth College. I’m also minoring in Business and Communication. I love to help others so please feel comfortable asking for help with anything! 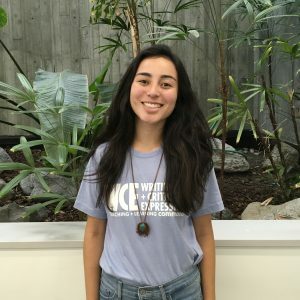 My name is Rebekah F. and I am currently a senior at UCSD studying International Studies and History. I am an ERC student which means that I have had the pleasure of taking MMW. You might say, pleasure? The MMW class track was my favorite collection of classes I took in my college career. Writing to me is not just a way to get a grade or put words on a page. Writing is a creative process in which the way I see the world is put into an argument for others to read. 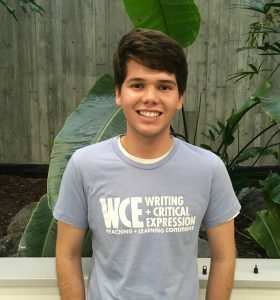 I am passionate about helping other students see the excitement in the writing process no matter which of the six colleges you come from. 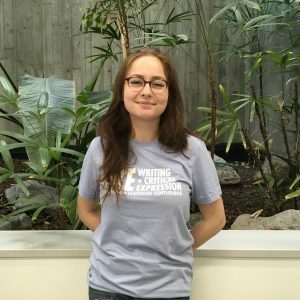 My hope as a writing hub consultant would be for every student I work with to come out a little bit more confident in their analytical, writing, and research abilities as well as enjoying the process. Hi! My name is Megan. 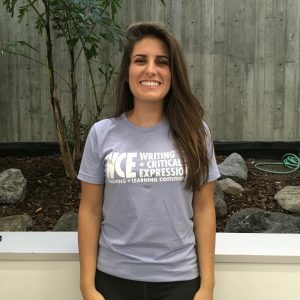 I am a fourth year Literature/Writing major from Revelle college. Because I love reading, I am always excited to talk about books – fiction or nonfiction. I love to work on any stage of writing – from brainstorming to final draft polishing. I am here to help you be a stronger writer so don’t be afraid to ask me any questions. Hello! 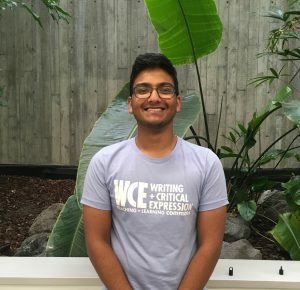 My name is Rohan G. and I am a Political Science major with a minor in economics. I am a Marshall student, and completed (and loved) the DOC program. I absolutely love to write and am excited to work with students on whatever writing piece they bring to me! Hi! I’m Maya, and I’m a second year molecular biology major from Thurgood Marshall College. I have always loved writing as a way to express myself and as a necessary skill regardless of your major. Stop by for help with the DOC series, brainstorming arguments, and organizing your writing! Hi, I’m Mariam! I’m a third year Marshall student. I am double majoring in Cognitive and Behavioral Neuroscience and Public Health with a minor in Literature/Writing. I love reading high fantasy novels and dreaming up magical worlds in my own creative writing. I would love to help in any stage of your writing and/or brainstorming, so stop by! My name tag says Matthew, but you can call me Matt! I’m a Philosophy Major from Thurgood Marshall (familiar HILD and the entirety of the DOC series) with a focus in law, ethics, and society. I’m comfy having a chat about anything between brainstorming, helping you develop your ideas, or just getting you to “feel” right about your writing. Whatever it is, I’m here to help! Hello! 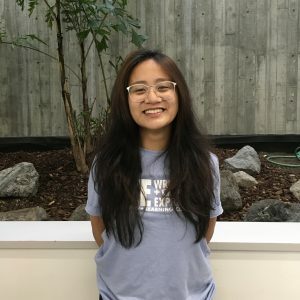 My name is Bonnie and I’m a second year in Muir College majoring in Bioengineering: Bioinformatics. In my spare time, I enjoy running, hiking, reading novels, and watching action movies. I look forward to helping you with any stage of your writing, whether it be brainstorming or fine-tuning a final draft! Hi there! My name is Lauryn and I’m a fourth year student in Sixth College. My major is Political Science (spec. in American Politics) and I am minoring in Education Studies. In the future, I hope to teach social studies at the high school level. 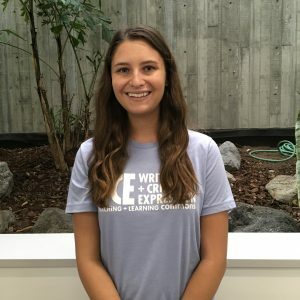 This is my third year working at the Writing Hub and I’m excited to work with you! Hi! 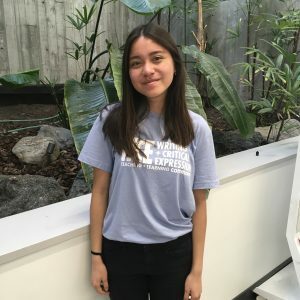 I’m Jade and I’m a 3rd year Psychology major/Literature minor. As a Muir student, I’m very familiar with the MCWP series. I’m comfortable working with you at any stage of the writing process, from brainstorming to organization. I enjoy all kinds of writing–creative, journalistic, etc.–so feel free to come to me with whatever you need help with! Hello, I’m Tara. I’m a 2nd year Literatures in English major from Sixth College. I love writing and reading what other people have written so please bring in any work you have. My specialty is literary analysis, but I’m comfortable with a variety of subject matter so feel free to bring anything. Hi everyone! My name is Jonathan and I’m a junior from Marshall majoring in Political Science. I love working on brainstorming, outlining, and organizing essays. I am very familiar with the DOC sequence and Poli Science courses. I hope I can help you with anything you’re working on! Hi! I’m Justin, and I’m a third year Political Science major with an emphasis in Public Law from Thurgood Marshall College. My specialties are the DOC series, Political Science courses, brainstorming, formulating arguments, and organization. Regardless of your major, the skill of effective communication through writing is an essential one. I look forward to working with you on honing that skill! Hello! My name is Rachel K. and I am from Warren college. My major is political science, and I aim to eventually go into law. I am also pursuing minors in management science and environmental studies. I have always loved to write, and am willing to help with any writing issues you may have! Hello, I’m Sarah! 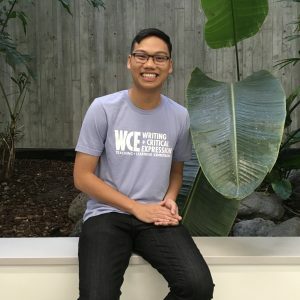 I am a third year Revelle student studying biophysics. I love reading and writing, and enjoy helping others in these areas as well! Hi! 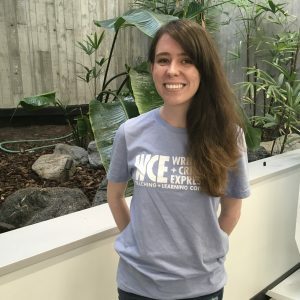 I’m Katie, and I’m a third year public health major from Warren College. I’m also a member of the UCSD sailing team and a DJ at KSDT. I love working on creative writing and persuasive essays, but I’d be happy to help you work on any form of writing and develop your skills as both a writer and a thinker. Hi! 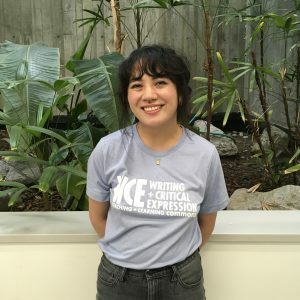 My name is Emily (I use she/her(s) pronouns) and I’m double majoring in Ethnic Studies and Psychology. I’m a Marshall student, so DOC is the writing requirement I completed. 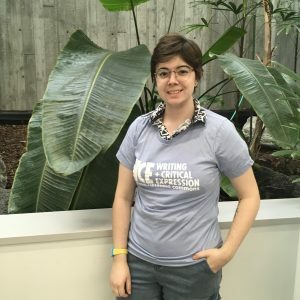 I’m experienced in lots of different kinds of writing: academic essays, theses, resumes, job applications/cover letters, and even lab reports (back when I was a Bio major.) I also journal and write poetry on the side. 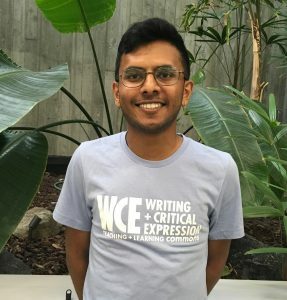 I’m eager to connect with you and help you hone your writing! Hi, I’m Jaden! 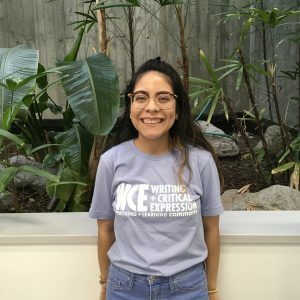 I’m a fourth year Lit/Writing Major from ERC and I love working with students in all stages of the writing process, from brainstorming to final touches. This is my third year at the Writing Hub, and when I’m not working or in class, I’m either belting show tunes or drowning in a sea of TV shows, movies and comics (I have a problem, guys). I strongly believe that anyone can improve their writing with enough practice, regardless of whether you like doing so as much as I do, so no matter your writing background, I hope we can get better together. Hi, I’m Phoebe! I’m a 4th year Muir transfer student majoring in Literature and Writing Studies. I’m a local San Diegan, originally from Peru. I live for summer, and in my free time you’ll find me at the beach or on the hunt for the best street tacos. I’m really looking forward to tutoring this year! Hi! 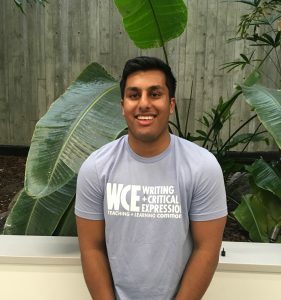 My name is Goutham M. and I’m currently a 4th year Aerospace Engineering major from Warren College. 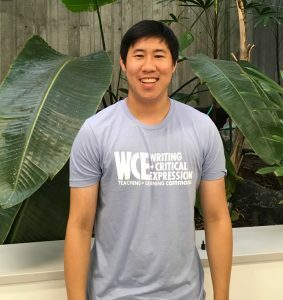 Even though I’m an engineer, I enjoy writing a lot and helping others with their writing just as much. I am happy to help you with any writing that you are struggling with. 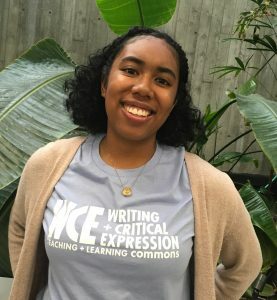 Hi everyone, my name is Samirah (sum-ee-rah) and I am a senior from Muir with a major in Linguistics/Speech and Language Sciences. In addition to being a writing tutor, I am also a writer for the lifestyle section of the UCSD Guardian. In my free time, I enjoy drinking coffee, reading, going on roadtrips, taking photos, making art and rewatching Gilmore Girls. *Comfortable tutoring in Spanish. Hello! 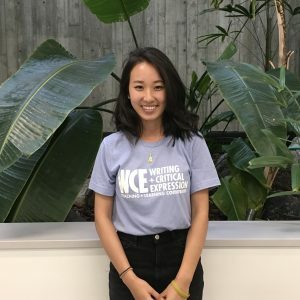 I’m Kristine, and I’m a second year Physiology and Neuroscience major and pre-veterinary student from Marshall College. I play ultimate frisbee and am a part of KP. I love dogs, passion planning, chocolate, and talking about writing! 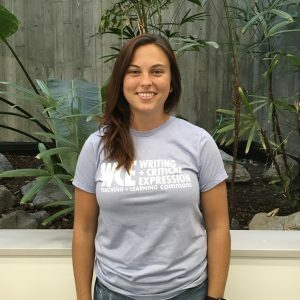 The Marshall DOC program helped me find a huge passion for writing and I want to share that same passion by helping you develop your writing and thinking skills. So, come by and let’s have a conversation at any and all stages of your writing process. Hello! My name is Felipe, I’m a third-year Sixth College student. I have taken all three Sixth college writing courses (Culture Art Technology 1,2, and 3) and enjoyed every single one of them partly because of its acronym, C.A.T! Currently, I am a Communication major with an Education Studies Minor. I love the writing process and would enjoy navigating it with you, so feel free to ask for help. *Comfortable tutoring in Spanish. Hi! 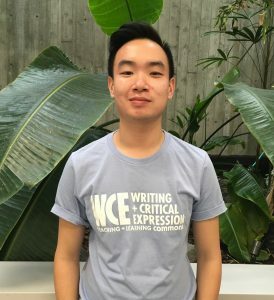 I’m a third-year student from Warren college. I’m a human biology major with a possible music minor. I look forward to working with writers at all stages of the writing process, so feel free to ask any questions! Hi, my name is Emma! I’m majoring in Molecular Biology so I’m pretty comfortable with lab reports and science writing. My college is Muir (go Muir!) so I can help you with both MCWP 40 and MCWP 50. I especially enjoy reading MCWP 50 papers and learn about other people’s interests! I’m also comfortable tutoring in Vietnamese. I’m looking forward to meet you all and get to know you a little bit better! My name is Jacqueline N. and I’m an International Business major in Marshall College. 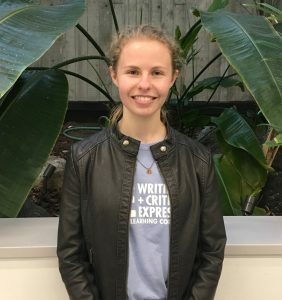 One of the reasons that prompted me to participate as a tutor at the Writing Hub is because I really value the merits of interactive learning and am a huge advocate for student support programs. 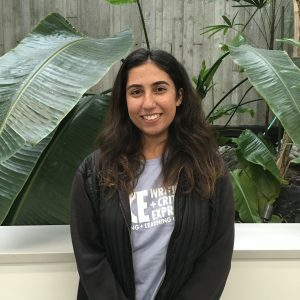 As a student approaching her final year of undergrad, I’ve been able to reflect upon many instances where I definitely should’ve asked for help when I needed it! My hope as a tutor is that I’ll be able to be a personable resource to help other students navigate college! 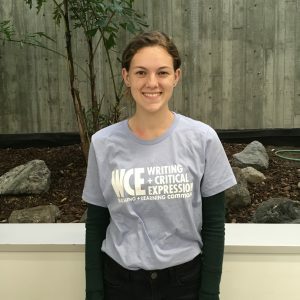 Hi, my name is Rebecca and I’m a third year International Studies Political Science major from Eleanor Roosevelt College. 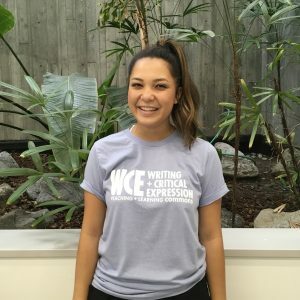 I’m most familiar with MMW, political science courses, creative writing, and persuasive essays, but I’d love to help out with anything that you bring in. When I’m not at the Writing Hub, catch me stuffing my face on Convoy street or binge watching The Office in fifth floor Geisel. 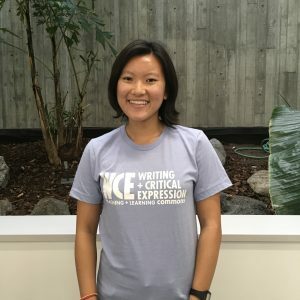 I’m excited to work with you on your writing! Hi everyone! My name is Aliyah Parker, and I’m a second year Public Health major from Muir. 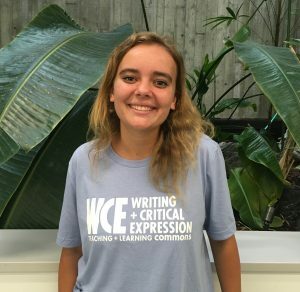 As a tutor, I am very comfortable with the MCWP courses and research papers, but also open to help with any other courses and types of writing! Hi! 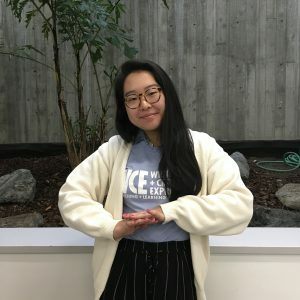 I’m Anastasia, I’m a third-year from Muir studying Molecular Biology. I particularly like working on structure and analysis and have experience with MCWP 40 and 50, but I’d be more than happy to help you with any kind of writing. In my free time, I enjoy painting, running, reading, and taking care of my plants (all super fun, I know). Hi! 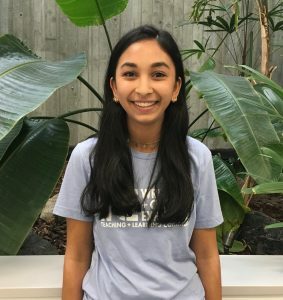 My name is Punita and I am a fourth year student majoring in Political Science/Public Law with minors in Business and Accounting! 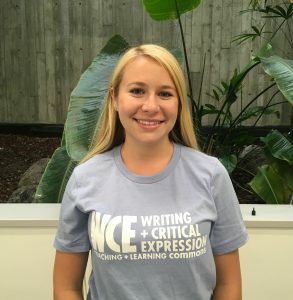 I am a proud ERC student but am comfortable working with students from all 6 writing programs. I especially love working with students on cover letters and look forward to learning more about your writing styles during our appointments! Hey, I’m Boya. I’m an international student from China. 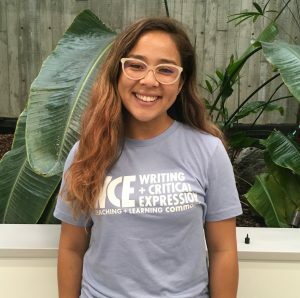 I’ve struggled with writing myself when I first came to UCSD and so I could definitely understand the worries of people from a different cultural background in their freshman year. But I’m happy to talk to all of you, for sure. 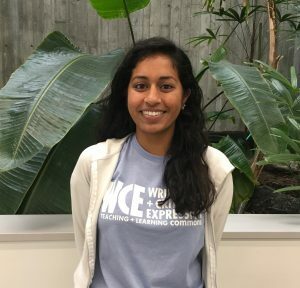 I’m a third-year cognitive science major with a specialization in Human Computer Interaction. I’m from Marshall, so I’m familiar with DOC series. DOC literally changed the way I’m thinking and I’m so excited to talk about it! I also have experience with HILD, ETHN, VIS and LTEA classes. I always like making my papers super organized and have good structures. I’m generally open to all kinds of writings but I might not be a pro in lab reports since I haven’t done any of them myself. In this case, I’ll try my best to give opinions as an honest reader. I’m excited to meet y’all!! Hey! 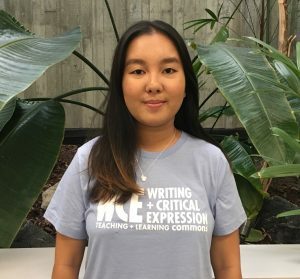 I’m a fourth year from ERC, and I’m majoring in History with the intent of attending law school. In my free time, I enjoy playing soccer, chess, reading, and free writing. I’m well-versed in all forms of writing with argumentative writing being my favorite. My main goal with writing is to assist students in finding their voice and expressing it in a cogent way. Hi! 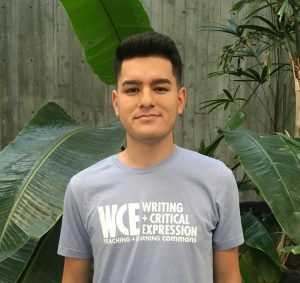 I’m a fourth year Warren College student pursuing a Math/CS degree. My specialties include the Warren College Writing Program, brainstorming, analysis, grammar, thesis statements, and outlining. 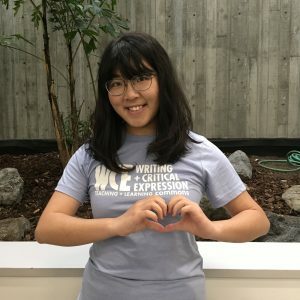 I love talking about different ideas and helping people discover new perspectives, and I’m happy to help with all kinds of writing! Hello everyone! 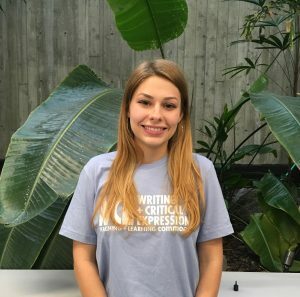 My name is Alexandra S. I am a second year Political Science-International Relations major in Eleanor Roosevelt College (ERC). My hometown is Chula Vista, located in San Diego County. I am happy to work with students in any academic subject, in particular MMW, anthropology, art history, and political science. Feel free to bring in any essays for scholarships as well. 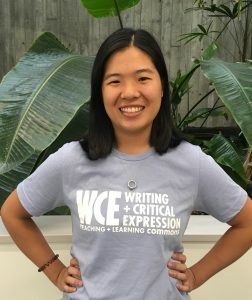 Hope to see you at the Writing Hub! Hello everyone! 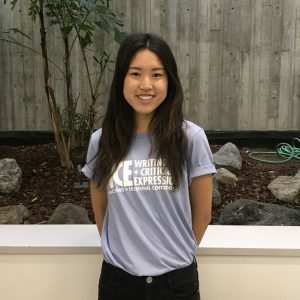 My name is Erin Songwang, and I am a third year Bioengineering student from Muir College. Hello, I’m Johnny! I’m a fourth-year studio art major from Sixth College with a minor in physics. 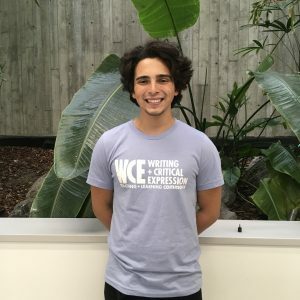 I’m happy to help with papers for college writing programs, resumes and cover letters, scientific papers, art history, literature analysis, creative writing, and anything else you may need. Feel free to bring in writing at any stage of the process, be it brainstorming, organization, proofreading or just that extra polish! Hello! My name is Kyle, and I’m a third year Thurgood Marshall student majoring in Math/Econ and Cogs Sci while minoring in Business. I am also a Thurgood Marshall RA and a research assistant for the Comparative Cognition Lab! I enjoy the challenge of helping other people succeed, and I hope to do the same in the Writing Hub. 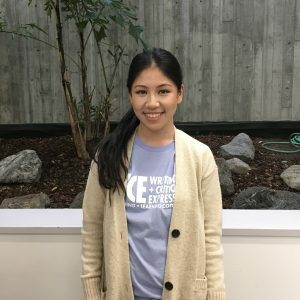 I have experience with DOC, and I also really like helping with brainstorming, argumentation, developing strong thesis statements, and analysis. Hello! My name is Jenna, and I’m a second year Muir College student majoring in Political Science with a minor in Law and Society. Hey there! My name is Aaron and I’m a junior in Muir college. I am currently working towards a degree in molecular biology, but I’m also minoring in psychology as well. I hope to pursue a career in either biomedical research or medicine. In my free time, I enjoy everything sports related, so if I’m not inside watching Chargers and Padres games on T.V., then you will most likely find me outside playing basketball or tennis with my friends and family. Feel free to stop by and have a conversation with me about anything, whether it be baseball, genetics, or rhetorical analysis! 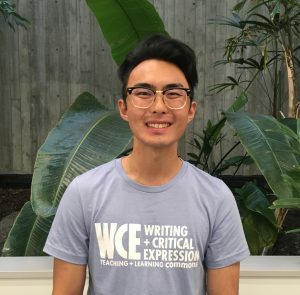 Hello, my name is Kevin and I am a fourth-year Muir student majoring in Mathematics – Computer Science. I’ve taken the MCWP courses, and I can help you develop your writing at any stage of the writing process. Even if it’s just brainstorming together or figuring out how to structure a potential paper. 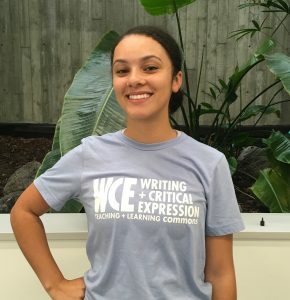 Marisa is a third year Thurgood Marshall student and is majoring in English Literature/Writing. 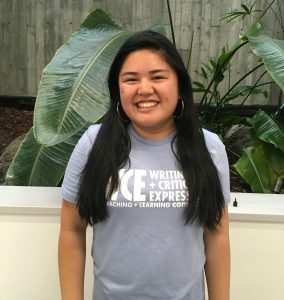 She’s from Orange County, California and loves to discuss all topics related to literature and writing. In her free time, Marisa enjoys reading, writing, painting, gardening, and scrolling through Twitter. Hi! 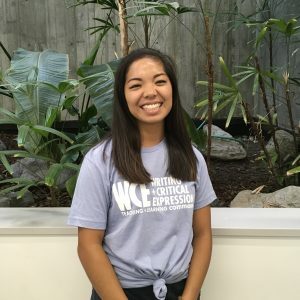 I’m Angie, a third-year Marshall student majoring in Cognitive Science and minoring in Psychology. I really appreciate the role that writing plays across different fields of study and I enjoy all stages of the writing process. I also love discovering new music, eating cheesecake, and doing outdoorsy things. Looking forward to working with you! I am a third year from Warren majoring in Management Science and minoring in Accounting. I love working with students in all stages of the writing process and across all disciplines. *Comfortable tutoring in Mandarin. Hey! 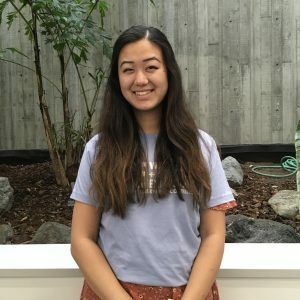 I’m a fourth year Muir student majoring in Physiology and Neuroscience. When I’m not tutoring, you can spot me walking to class with a coffee in my hand or performing with my dance team 4N01. I enjoy being able to help students evaluate their writing, and in the same process, I am able to grow as a tutor and learn from you all too. Looking forward to provide you with guidance and support! *Comfortable tutoring in Tagalog. Hey! 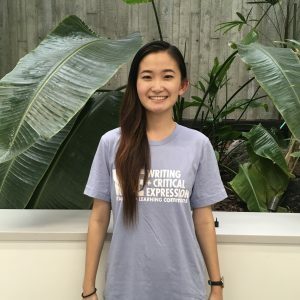 My name is Mingjie, and I am currently a second year in Eleanor Roosevelt College studying Literatures in English. I have always loved writing, and reading writing; these days, you can probably find me browsing though scores of contemporary literature, especially memoirs and personal essays. 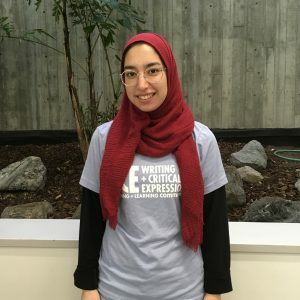 In the past, I have worked with diverse forms of writing, from academic research writing to feature journalism to personal statements, and would love to chat with you about your work. Please feel free to drop by with your writing! *Comfortable tutoring in Mandarin Chinese.